This reading group guide for Girl in Snow includes an introduction, discussion questions, ideas for enhancing your book club, and a Q&A with Danya Kukafka. The suggested questions are intended to help your reading group find new and interesting angles and topics for your discussion. We hope that these ideas will enrich your conversation and increase your enjoyment of the book. When the shocking news of Lucinda Hayes’s murder reaches the residents of suburban Broomsville, Colorado, on a cold February morning in 2005, it impacts three of them more profoundly than others. The countless nights he’s spent spying on Lucinda Hayes through her bedroom window convince Cameron Whitley that he knows her more fully than anyone. But Cameron’s emotional disturbances and obsessive behavior, his possession of her diary, and his many drawings of Lucinda make him seem more like her crazed stalker than a true friend. Jade Dixon-Burns merely resented Lucinda Hayes when she replaced Jade as the Thorntons’ preferred babysitter, but in becoming the girlfriend of Jade’s only friend, Zap Arnaud, Lucinda aroused Jade’s focused hatred. Now that her nemesis is gone for good, Jade can’t help but feel guilty about the rituals she performed in the hopes of causing Lucinda physical harm. Officer Russ Fletcher is haunted by Lucinda, not because hers is the first dead body he has ever seen on the force, but because he feels emotional obligations toward two of the suspects in her murder. As he confronts a series of troubling episodes in his own past, Russ must sort through complicated feelings about love and truth. 1. “When they told him Lucinda Hayes was dead, Cameron thought of her shoulder blades, and how they framed her naked spine, like a pair of static lungs.” (4) How did the intensely vivid opening of Danya Kukafka’s novel impact you as a reader? Discuss the author’s decision to reveal the death of Lucinda Hayes at the outset. How does the fact of Lucinda’s untimely death establish an immediate mood of suspense? 2. Why does Cynthia Whitley wait before she questions Cameron about his cache of drawings of Lucinda Hayes? Coupled with Cameron’s hazy memory and his dubious reliability as narrator of his own experiences, how does Cynthia’s revelation that Cameron was absent from his bedroom on the night of Lucinda’s murder inform your sense of him as a possible suspect in her murder? 3. “You’re the dead girl’s stalker, aren’t you?” (32). When she first introduces herself to Cameron, Jade Dixon-Burns identifies him as Lucinda Hayes’s stalker—an open secret of sorts at Jefferson High School, where a classmate has cruelly nicknamed him “American Psycho.” Why might Jade’s background render her sympathetic to Cameron’s predicament? Compare and contrast Jade and Cameron’s “outsider” status in the insular community of their high school. 4. “[I]n these rare moments of reminiscence, Russ wonders if he always knew—somewhere locked and hidden away—what would come of Lee Whitley.” (27) How do Russ Fletcher’s experiences on the Broomsville Police Department shadowing Officer Lee Whitley interfere with his gut instincts when it comes to finding Lucinda Hayes’s killer? How does his marriage to Ines further complicate his considerations? 5. 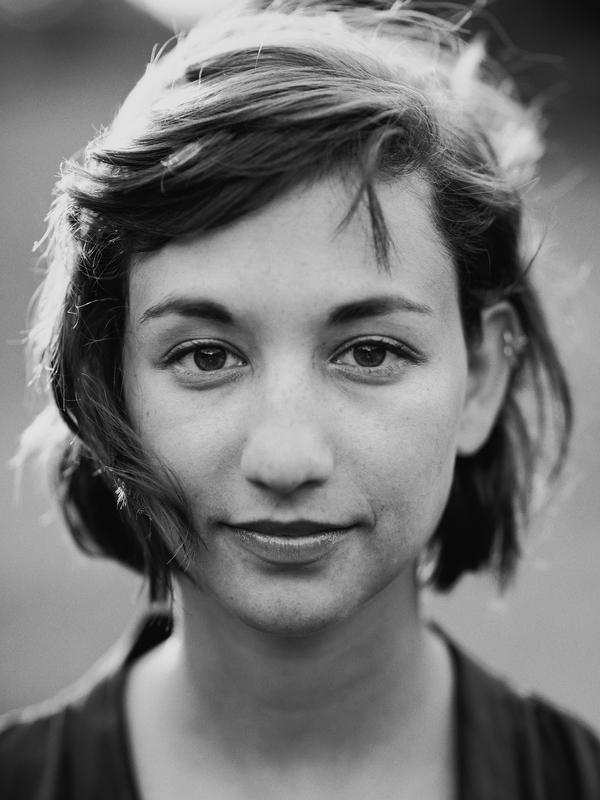 How does Jade Dixon-Burns’ actual life compare with the semi-autobiographical screenplays she composes in her mind? What clues do these adaptations of her real-life encounters offer readers about her inner life and her adolescent preoccupations? 6. Discuss the meaning of “Untangle,” the safety word given to Cameron by a psychiatrist to help him cope with his anxiety in the aftermath of his dad’s disappearance. To what extent do Cameron’s unique qualities (his artistic intensity, his emotional volatility, his status as a social loner, his obsessive tendencies) mark him as a typical adolescent, and in what ways do they hint at a deeper mental instability? 7. How would you describe Lucinda Hayes, based on the many details we learn about her over the course of Girl in Snow? How does her fleeting appearance in Cameron’s house during the neighborhood block party seem almost like a hallucination on Cameron’s part? Why do you think the author chose to incorporate that particular scene into the book, and what does it suggest about Lucinda and her many entanglements? 8. “[Cameron] found people fascinating when they thought no one was watching. He couldn’t tell them about the sincerity of life through windows—that he hated himself for it, but he couldn’t stop.” (36) Voyeurism plays a prominent role in Girl in Snow—even the mountains are described as “always watching.” Discuss the way in which looking from the outside in operates in this novel. How do the characters’ many different kinds of looking echo the narrative arc of finding Lucinda’s killer? 9. Why does Russ refuse to accept Ines’s ex-con brother, Ivan Santos, as a born-again Christian? Other than his discovery of Lucinda’s body and his prior criminal history, what makes Ivan suspicious to Russ and others in the Broomsville Police Department? Do you think their ideas about him are colored by his race, or his social status? 10. Jade’s faithful adherence to the rituals described in Modern Witchcraft: A Guide for Mortals makes her feel responsible in some way for Lucinda’s murder. Discuss the role of the supernatural in Girl in Snow. To what extent do Jade’s and Cameron’s experiences seem infused with an element of the surreal? 11. Girl in Snow examines romantic relationships in all of their brokenness: Cameron’s unrequited obsession for Lucinda; Jade’s almost-proprietary love for Zap; Russ’s repressed love for Lee Whitley; Lucinda’s illicit affair with Mr. Thornton; Ines/Querida’s extramarital trysts with Marco. Of these different iterations of love, which did you find most compelling and why? 12. How would you describe Pine Ridge Point and what it represents to Cameron? Why is this the place he turns to at the book’s climax? 13. “Lucinda turned around, looked back at him in the shadows. Direct eye contact. . . . Bear witness, she seemed to say.” (305) Cameron interprets Lucinda’s behavior in the days before her death as indicative of her desire for him to know the truth, claiming “she’d left [her diary] on purpose” for him to find. To what extent does Cameron’s understanding of events seem believable? 14. Many of the characters in Girl in Snow carry secrets around with them. How do these secrets inform their behavior and their decision-making? To what extent does the theme of secrecy that the novel establishes relate to the concurrent theme of voyeurism? 15. How did you feel about the resolution of Lucinda’s murder? Looking back, what clues does the author of Girl in Snow include to foreshadow the identity of the perpetrator? 1. In Girl in Snow, Lucinda’s diary becomes a piece of evidence, but with the exception of one brief passage, readers remain unaware of its contents. Ask members of your book group to collectively imagine what information Lucinda’s diary might have contained. In your discussion, your book club may want to consider diaries they have kept during the course of their lives, or about the sorts of revelations that diaries encourage. 2. 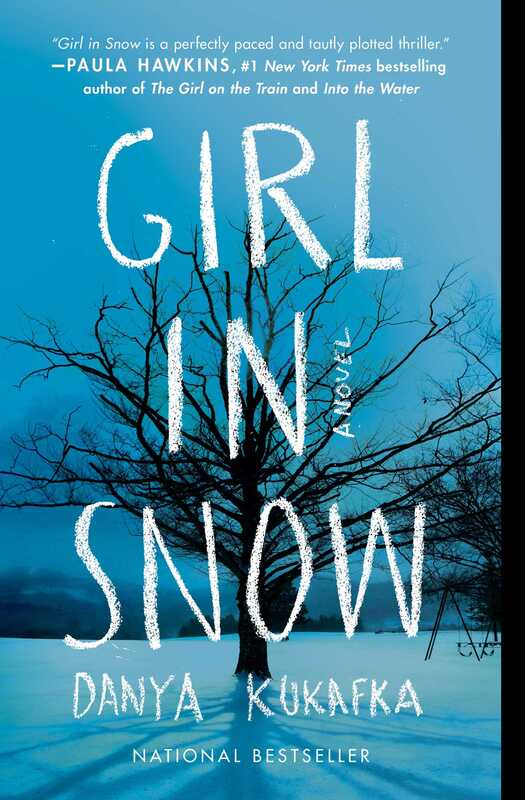 Girl in Snow adheres to many classic conventions of the mystery novel genre, including a police investigation that is hampered by multiple suspects. Ask members of your group to discuss their suspicions about the real culprit in Lucinda’s murder. How does the author’s detailed portrayals of Cameron Whitley, Jade Dixon-Burns, and Ivan Santos distract from Lucinda’s actual killer? Members of your club may want to consider other possible suspects (Lee Whitley, Mr. O, Zap Arnaud, Mr. Thornton) who came to their attention as possible contenders in the course of their reading. 3. The insular world of high schoolers portrayed by Danya Kukafka in Girl in Snow may trigger high school memories for members in your book group. Ask members of your book club to share some of their experiences in high school. Did they know classmates who remind them of the characters in the novel? How might the untimely death of a student in their high school have played out, or—if such a tragic death occurred—how did it reverberate in their larger community? Girl in Snow is your first novel. Who are some of the mystery writers you most admire, and why? Megan Abbott is one of my favorite writers—her books have mysteries at the core, but they also investigate teen lives in a serious and sophisticated way; I love Celeste Ng’s Everything I Never Told You, which also bends the mystery genre to examine race, class, and family; and Alice Sebold’s The Lovely Bones or Kazuo Ishiguro’s Never Let Me Go, both of which toy with form and structure to create suspense. I’m also a big fan of Gillian Flynn, Paula Hawkins, and Emma Donohue. At what point in plotting your novel did you realize that three characters—Cameron, Jade, and Russ—would be the primary focus of your work? The book started as only Cameron’s story. I actually wrote an entire draft, just from his perspective! But I couldn’t get to a reasonable ending, so Jade was created from a character in a short story I’d written. I added all her sections into what already existed of Cameron’s, and the story really opened up from there. Russ came much later, when I had my agent and editor’s brilliant brains involved in the writing process. You chose to write about young teenagers; many of these characters can’t even drive yet. Why teenagers, and why early high school? At fifteen years old, you aren’t quite a child but you certainly aren’t an adult. You also feel so much. Emotions are wild at that age (I believe we all dull out a bit as we get older). Teens can be unapologetically nostalgic, or angry, or sentimental, and every reader can remember what that’s like. I think a lot of us still yearn for that depth of feeling. Throughout Girl in Snow, Cameron’s mental/emotional condition is difficult to pin down. To what extent is this uncertainty an element you included to keep your readers unsure about his culpability in Lucinda’s murder? You open Girl in Snow with the news of Lucinda Hayes’s death. How challenging was it to structure your narrative around an event that has happened largely out of sight of the characters who are coming to terms with its effects? This was actually the fun part! There is a body, and a murderer, but exploring the outer edges of that—the secret lives of Cameron, Jade, and Russ as they understand the event on their own terms—was much more interesting to me than getting into the how and why of Lucinda’s death. It was difficult at first to wrangle all the right puzzle pieces to tie up the plot, but once they were there, I was free to roam around the edges of the story, which I found very satisfying. Is there a connection between Cynthia Whitley’s past as a ballerina and the ceramic figurine that leads to the identity of Lucinda’s murderer? Cameron’s fascination with the human body is part of what makes him so observant—I studied ballet for many years, and though this wasn’t a connection I consciously intended to make, I realized that dance was the form through which I, as a writer, best understood how to examine anatomy. So in that sense, Cameron’s eyes are an extension of my own. No fewer than four illicit relationships come to light over the course of Girl in Snow: Mr. Thornton’s affair with Lucinda Hayes, Ines’s affair with Marco, Russ’s encounter with Lee Whitley, and Lee Whitley’s affair with Hilary Jameson. What can you tell us about the recurring themes of forbidden love in your novel? There’s a certain electricity to forbidden love, which could be why it often makes great fodder for storytelling. When the stakes are high, the margin for disaster is also high. I was glad to at least give Ines and Marco a happy ending. You work as an editor in the publishing industry at your day job. To what extent does your wealth of experience as both editor and writer make you better at both of your jobs? My work as an editor makes me a much more patient writer. It’s reassuring to see how much work goes into every single book that is published— nothing comes out perfectly in a first draft, and because of my job I’m able to sit down to write without thinking “this will be published.” Instead, I can think “this will be thrown out and rewritten twenty more times, and then eventually it might be done.” Writing makes me a better editor because I have a certain sense of empathy—I know what writers are going through when the revision process gets tough, and when they’re feeling anxious or worried. I’m able to tell them, honestly, that I’ve been through it. What are some of the common misconceptions people have when they think about what it takes to write a book and how to find a publisher for it? For me, and for many writers I know, writing is serious work that needs to be treated like a job rather than a hobby we do for pleasure. (Though pleasure is of course a wonderful bonus when the writing is going well.) Also, I think a common misconception is that you can find and agent or editor—or even assess the value of your own work—before it’s in fully readable form. The road between an unfinished draft and the final one is long and difficult, and I often meet people who just want the publication process to begin. But you have to do the writing first, and you have to be very committed to it. You set your novel in 2005, well before the advent of social media and its nonstop connectivity. Please discuss the considerations behind this authorial choice. I was a teenager in 2005, before Facebook and Instagram and Snapchat—all these platforms that allow us to convince other people that we are certain versions of ourselves. In 2005, I had a secret Myspace page that my parents didn’t know about, and a cell phone that could send and receive fifty texts a month, but beyond that, my interactions were limited to what I could experience in real life, with other people. Girl in Snow is very much about what we see, and how that compares to truth and reality. I think if Lucinda had a Facebook page, her death might have looked much different. I wanted to free the book of the complications that come with the ability to curate your own persona on a public platform.